Dolphin Deaths a Boon for Sharks? It’s been a tough year to be a dolphin. The Miami NFL football players aren’t the only dolphins making headlines lately. 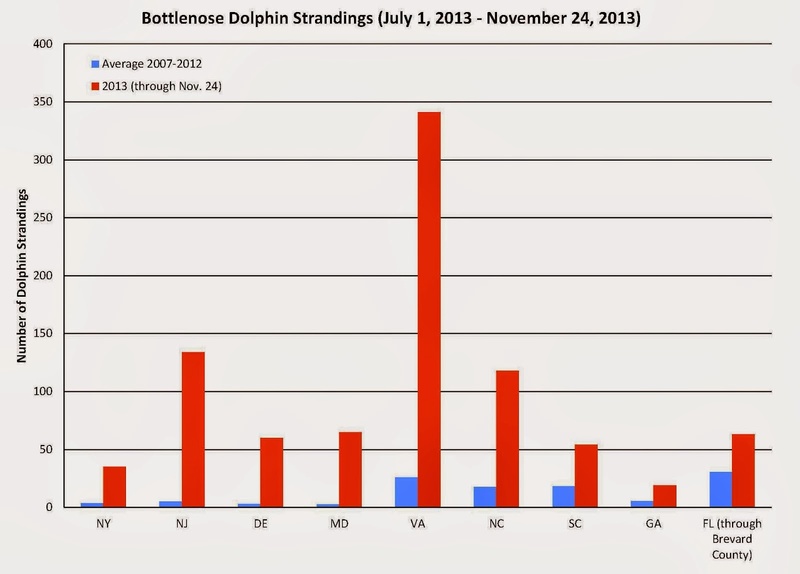 Over the last year there have been hundreds of mysterious dolphin deaths along the US Atlantic coast. By late summer, the National Oceanic and Atmospheric Administration (NOAA) had declared two “Unusual Mortality Events” for bottlenose dolphins, one in the Mid-Atlantic (New York to South Carolina), and one in Florida’s Indian River Lagoon. To date, nearly 800 dolphin deaths have been confirmed in the Mid-Atlantic region, and over 70 in the Indian River Lagoon. While investigations are still underway, possible culprits in the mass mortality events have been identified. A rare viral infection called cetacean morbillivirus seems to be behind most of the dolphin deaths in the Mid-Atlantic, and the epidemic now appears to be spreading to the southeast coast. However, the causes of the mortalities in the Indian River Lagoon have been harder to identify. Regardless of the cause, there’s been a heck of a lot of dead and dying dolphins scattered along the coast this year. Now this may sound tragic (and smelly) to some, but to sharks…it’s been a bonanza! Sharks love dolphins…like football fans love chicken wings. Dolphin flesh is full of high-calorie fatty tissues – the kind of fuel that can meet a shark’s metabolic demands for weeks. 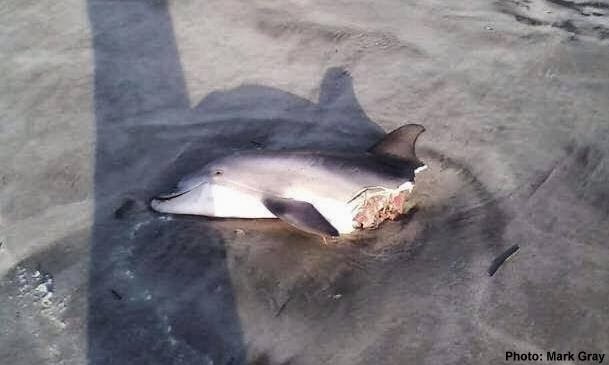 A half-dolphin carcass that washed ashore in South Carolina in November is likely a victim of both morbillivirus and a white, tiger, or bull shark. Photo credit: Mark Gray via Southern Fried Science. Due to their size, agility, and intelligence, dolphins are typically a challenge for sharks to hunt. Only a handful of larger shark species are considered regular predators of dolphins, including tiger, bull, dusky, and white sharks. And even these sharks will tend to target easier prey like juveniles and sick or injured individuals. Other shark species don’t tend to hunt live dolphins, but will certainly scavenge their carcasses when available. Despite the caloric benefits of eating a dolphin, sharks can only expect to have occasional opportunities to successfully consume them. That is, unless there is a widespread mortality event that creates a sick dolphin buffet. And when that happens, you can expect to find a lot of fat and happy sharks. 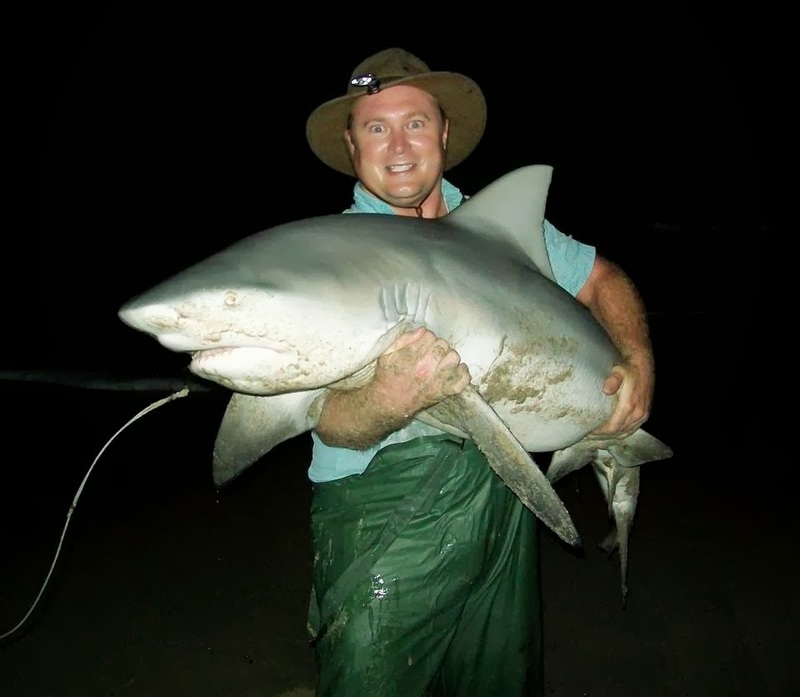 A hefty (not pregnant) sub-adult bull shark caught and released near an Indian River Lagoon inlet during Fall 2013. It’s very possible that this fat shark had been chowing on deceased bottlenose dolphins. Photo credit: Matthew Scripter. Reports from South Carolina to Florida indicate that sharks are taking full advantage of the Unusual Mortality Events. According to biologists at the Hubbs-SeaWorld Research Institute in Florida, the majority of stranded dolphins they examined this year showed indications of shark bites. The prevalence of shark bites was much higher than in previous years. Some dolphins have been simply bit in half. Research is ongoing to help differentiate between dolphins that were scavenged by sharks after they died, and those that were bitten while still alive. The major areas where white sharks have been documented to bite dolphins ranked from most common (1) to least common (6). Sharks will tend to attack live dolphins from below and/or behind, avoiding the range of the dolphin’s sonar field. Source: Long and Jones (1996). While marine mammal lovers may mourn the losses of these dolphins, many sharks, with full bellies, are thankful for their sacrifice. This unusual abundance of high-quality food will likely support increased survival and growth of the sharks fortunate enough to capitalize on the event. Though a temporary phenomenon, sharks will take advantage of these opportunities as long as they continue. The ocean’s circle of life may be harsh at times, but sharks are doing their part to recycle the remnant carbon and stored energy of these ex-dolphins back into the marine food web. This is all part of a shark’s role in helping maintain healthy coastal ecosystems. (order Selachii) and dolphins (suborder Odontoceti): a review. Journal of the Zoological Society of London 253:53-68. Long, DJ and RE Jones. 1996. 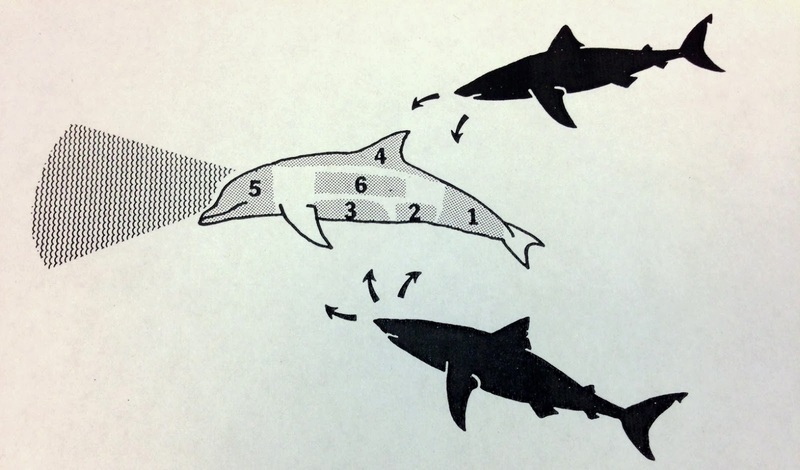 White shark predation and scavenging on cetaceans in the eastern North Pacific Ocean. Pp. 293-307 in Klimley, AP and DG Ainley (eds), Great White Sharks: The Biology of Carcharodon carcharias. Academic Press, San Diego. NOAA Fisheries Service Office of Protected Resources Unusual Mortality Event information. Previous Post One Fish, Two Fish, Where Fish for Whitefish? 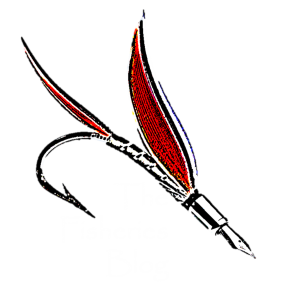 Next Post Happy Holidays from The Fisheries Blog!